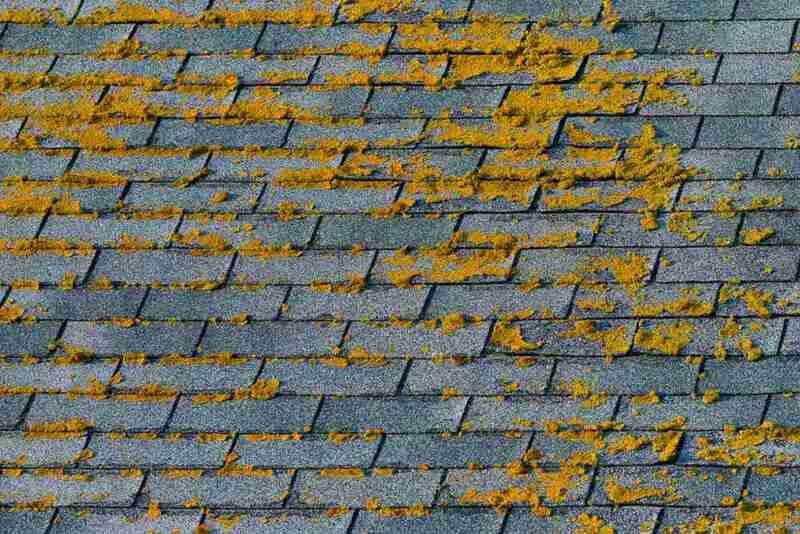 Many homeowners don’t realize the damage that moss and algae growth can do to their roof. Over time, the algae will grow and it will become the main source of food for moss. When it rains, the moss will collect rainwater similar to the way that a sponge collects water. If the moss gets heavy enough, the moisture can seep beneath the shingles as well as the underlayment. Eventually, the buildup of mold will occur as well as decay. Therefore, if you notice the growth of algae or moss on your roof, it is important that it is removed as soon as possible. Here is what you need to know about algae and moss removal. One of the most important things that you need to keep in mind is that you should never use a pressure washer to clean your roof. Often, this is the first piece of equipment that homeowners consider using to clear the moss and algae from their roofs. That high pressure of water has the ability to strip the granules, as well as other protective elements, from your shingles. Essentially, you can think of it like the tread wearing away on your vehicle’s tires. The sooner the granules wear down, the sooner your shingles will need to be replaced. Some homeowners think that a broom will successfully remove the moss and algae from the roof. Now, while it can remove the moss and algae, the rough bristles of the broom can remove the granules on the shingles just like the high pressure of water from a pressure washer. Therefore, brooms should be avoided as well. As a general rule, you can find zinc sulfate in a powder form. To begin the cleaning process, you can apply the zinc sulfate directly to the moss areas—and do so generously. It is recommended to use three pounds of the zinc sulfate powder for each 600 square feet of roof. An easy way to use the zinc sulfate powder is to generously spread it along the roof’s ridge, and when the next rainstorm comes in, the rain will dissolve it and allow it to wash down the roof. Typically, this process will keep moss away for roughly one to three years. To keep algae at bay, though, you should reapply the zinc powder on an annual basis. Keep in mind that zinc sulfate can cause damage to your plants, shrubs, and other landscape if it gets on them. Therefore, before using zinc sulfate powder on your roof, drape plastic over your plants to protect them. It is also a good idea to apply the zinc sulfate on a calm day, so the wind doesn’t pick the powder up and spread it onto nearby landscaping. To ensure the longevity of your home’s roof, early removal of algae and moss growth is essential. The more you stand back and allow it to grow on your roof, the greater the chances are that you will see significant roof damage.